Waldorf and Rolf Wöhrmann of Tempo Rubato have joined together to create a new wavetable synthesizer for the iPad. The new synth uses a similar layout to the Animoog, although this sports a very cool and unique use of the display which the user can manipulate. The synth will work with all standard MIDI devices as well. Read the full press release below! A long tradition of wavetable synthesis – from first PPG synthesizers to the latest developments in terms of Blofeld and Largo – and Rolf Wöhrmann’s (TempoRubatos) vast experience with the iPad synthesis made it only natural to come up with a wavetable concept for the iPad, which, as a mobile platform, is becoming increasingly more significant to professional and semi-professional musicians and producers. 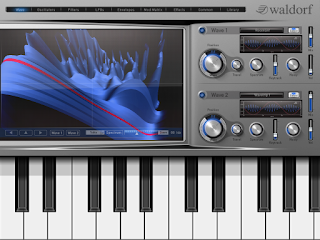 The cooperation between Waldorf and TempoRubato, also known for their product line NLog Synth, doesn’t stop here: The application will also offer new possibilities for sound manipulation based on Waldorf’s very latest spectral research. An innovative approach to wavetable synthesis allows for the transposition of the spectrum and the balance of periodic and sound spectra entirely independent from a wave’s position. The existing wavetable technology is thereby extended by two new dimensions, and it allows for formant shifts as well as numerous other unheard sounds. Also, unlike with typical wavetable instruments, the number and length of waves in a wavetable will no longer be restricted. 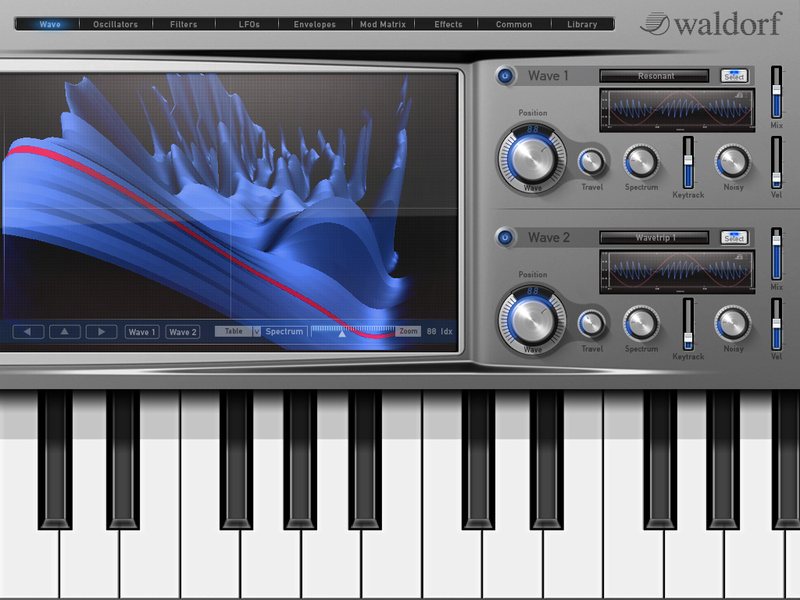 It’s the era of wavetable synthesis V2.0! App collaboration standards like Sonoma‘s Audio Copy/Paste, Intua‘s Audio Pasteboard and Virtual Core MIDI will also be supported like the upcoming AudioBus standard and KORG’s WIST synchronization technology.